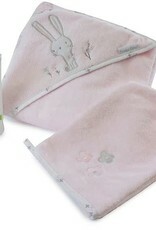 Pamper and spoil your baby with Bubba Blue's bath time towelling products and skincare gift pack. Perfect for baby shower gifts and new parents. baby moisturiser for sensitive skin. Moisturiser for sensitive skin scent free, 100ml. Warm gentle machine wash with similar colours before use. Cold rinse.